Prime Minister signs off on all construction in Judea and Samaria, is preventing new projects, Israel Lands Authority official reveals. The head of the Israel Lands Authority, Bentzi Lieberman, revealed Sunday that no construction project in Judea and Samaria (Shomron) goes into effect without approval from Prime Minister Binyamin Netanyahu. “The marketing in Judea and Samaria is diplomatic-political, and the Prime Minister is one of the only ones who gives authorizations,” Lieberman was quoted by IDF Radio (Galei Tzahal) as saying at the Conference for Quality Government. Approvals for construction in Judea and Samaria “are not in the 2014 work plan,” Lieberman said. Construction in Judea and Samaria is a source of tension between Israel and the Palestinian Authority, the United States and Europe. 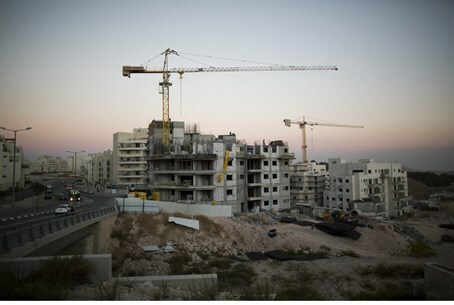 The PA claims that construction for Israelis in the region hampers diplomatic talks. PA leaders recently threatened to end diplomatic talks if Israel does not cancel building tenders for roughly 20,000 homes in Judea, Samaria and Jerusalem. The U.S. and EU have been strongly critical of Israeli construction as well. Israeli leaders say Israeli communities in the area have a right to exist and to grow. Over the past several years construction has been approved only within the borders of existing communities, and primarily in “settlement bloc” cities, which have been slated to remain under Israeli sovereignty under the terms of previous proposed agreements with the PA.